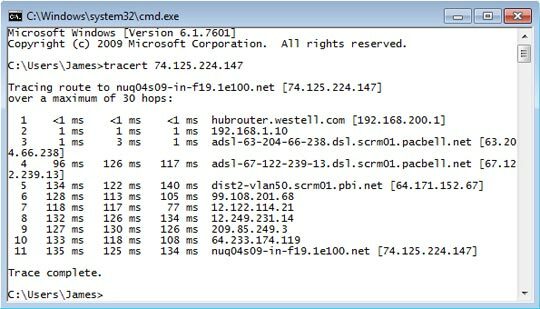 The traceroute utility is used to determine the route which data takes between two points. Enter tracert 74.125.224.147 then press the Enter key. 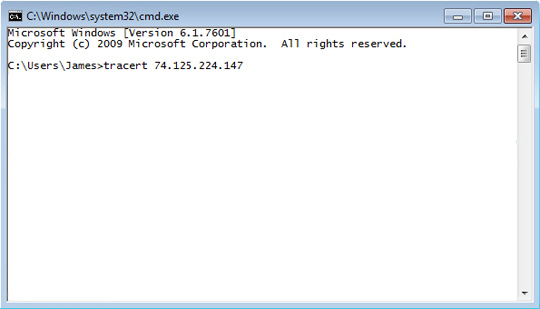 As the traceroute command is executed, the following information (or similar) should be displayed.